The two-hour television event paying tribute to the True Original will feature appearances by Skylar Astin (Pitch Perfect franchise, Crazy Ex-Girlfriend), GRAMMY®-nominated singer-songwriter Kelsea Ballerini, actor Miles Brown (ABC's black-ish, Dancing with the Stars: Juniors), Anna Camp (Pitch Perfect franchise, the upcoming feature film The Wedding Year), Josh Gad (Disney's Frozen), Wendi McLendon-Covey (ABC's The Goldbergs, Goosebumps 2: Haunted Halloween, Bridesmaids) and Sage Steele (host of ESPN's SportsCenter), as well as special musical performances by Luis Fonsi and Tori Kelly. Bob Burgess and Sharon Baird from the original Mickey Mouse Club will make a special appearance during the evening's festivities, honoring 90 years of the internationally beloved character. Previously announced stars include actress, activist and mom Kristen Bell (Disney's Frozen), actress and Hollywood Records/Republic Records recording artist Sofia Carson (Disney's Descendants, Freeform's upcoming Pretty Little Liars: The Perfectionist), two-time Emmy Award-winning actor Tony Hale (Veep, Arrested Development), and actress Sarah Hyland (ABC's Modern Family), as well as special musical performances by Josh Groban, NCT 127, Leslie Odom Jr., Meghan Trainor and Zac Brown Band. Walt Disney Company Chairman and CEO Robert A. Iger will make a special appearance during the evening's festivities. GRAMMY® Award-winning singer, songwriter and TV, film and Broadway actor Josh Groban will be singing his new hit song, "Granted," from his recently released eighth studio album, Bridges. Groban has sold more than 30 million records over his illustrious music career and has entertained fans across the globe with his electrifying live performances, and comedic film and television appearances. In 2017, he concluded his Broadway run as Pierre in Natasha, Pierre & The Great Comet of 1812, which was described as "one of the best musicals of the decade." He is currently starring on The Good Cop, opposite Tony Danza. Groban is an arts education advocate. Through his own foundation, Find Your Light, he raises millions to help enrich the lives of young people through arts, education and cultural awareness. Seoul-based global K-Pop powerhouse NCT 127 will perform their popular hit, "Regular." With 3.3 million Instagram followers and a fanbase that won't quit, NCT 127 has shaken up the K-Pop world since their 2016 arrival with their unique and conceptually progressive artistry. The breakout boy band of 10 (Taeyong, Taeil, Johnny, Yuta, Doyoung, Jaehyun, Winwin, Mark, Haechan and newly added Jungwoo), has found a unique way to connect with their growing fanbase outside of their Seoul home. Known for mixing genres, NCT 127 combines sounds in pop, R&B, hip-hop and Latin trap. Their first full-length studio album, NCT #127 Regular-Irregular, is out everywhere Oct. 12. Tony® and GRAMMY Award-winning performer Leslie Odom Jr. will perform the classic "When You Wish Upon A Star" from the 1940 Disney adaptation of Pinocchio. Best known for his breakout role as Aaron Burr in the smash-hit Broadway musical Hamilton, Odom Jr. won the Tony Award for Best Actor in a Musical for his performance. He also won a GRAMMY Award as a principal soloist on the original cast recording. GRAMMY Award-winning singer, songwriter and multi-instrumentalist Meghan Trainor will perform the Randy Newman hit and Toy Story franchise theme song, "You've Got a Friend in Me." Trainor emerged with her 2014 breakout single "All About That Bass" and has cemented her rising status as one of the most prominent artists in popular music by charting seven multiplatinum singles, releasing two platinum albums, selling out three headline tours, writing multiplatinum hits for top pop and country artists, and receiving countless industry awards and nominations worldwide. She is one of only five female artists to receive a diamond certification for her hit single "All About That Bass," which shares the RIAA Gold & Platinum Awards top honor with only 15 other singles in history. Trainor released her first single, "No Excuses," from her highly anticipated third studio album, Treat Myself, in spring 2018. Three-time GRAMMY-winning multiplatinum artists Zac Brown Band will perform "Bare Necessities" from the classic Disney film The Jungle Book. Zac Brown Band have had five consecutive albums reach the Top 10 of the Billboard 200 and four consecutive albums debut at No. 1 on Billboard's Country Albums chart. To date, the group has sold more than 25 million singles and eight million albums. They have achieved 15 No. 1 radio singles and are the second act to top both the Country and Active Rock formats. They have developed a reputation with critics and fans alike for a live show marked by strong musicianship that defies genre boundaries. 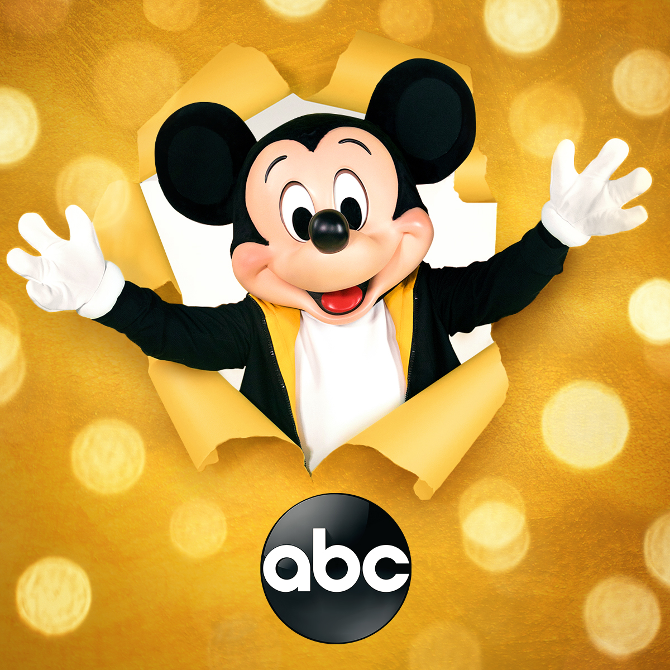 Mickey's 90th Spectacular is produced by Don Mischer Productions. Don Mischer, Charlie Haykel and Juliane Hare are executive producers. Don Mischer will direct.